At Sunrise Senior Living, we make daily living better for seniors. 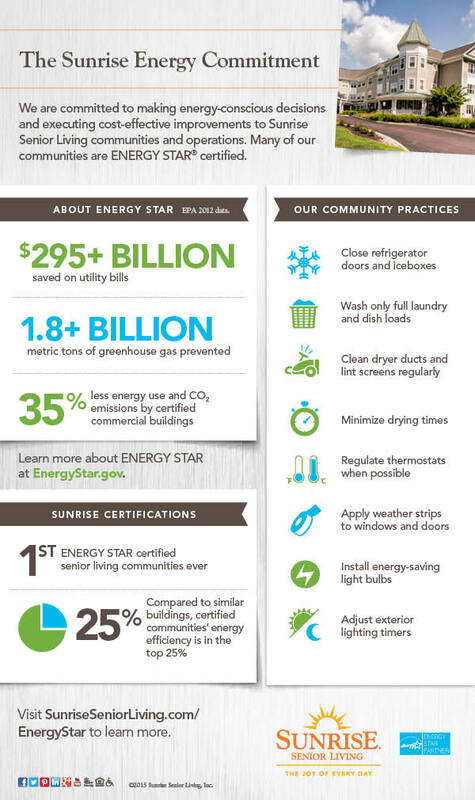 But by incorporating energy-saving practices at all of our communities, we’re also showing our commitment to creating a healthier planet for future generations. And with Sunrise communities throughout the United States and in Canada and the United Kingdom, these practices really add up. Learn how Sunrise is dedicated to creating a better Earth and how you can incorporate some of our practices in your home too.